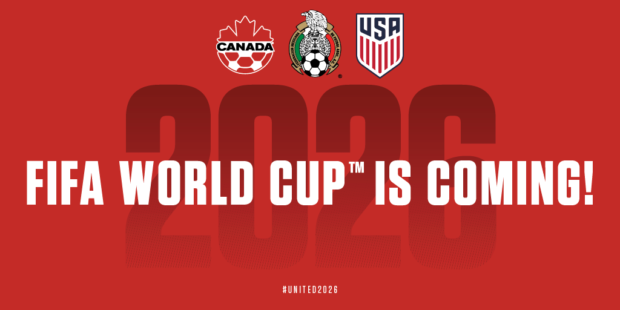 The 2026 World Cup is coming to North America. As disappointed as we are that Vancouver will be playing no part in it (although we still do hold out the faintest of faint hopes that something changes in the next eight years to somehow make it happen), we can’t hide our excitement at it being played on Canadian soil for the first time in what will be the tournament’s 96 year history. A naturally delighted Canadian Soccer Association President Steven Reed and his counterparts from Mexico, Decio de Maria, and the US, Carlos Cordeiro, took part in a media conference call at 7am PT on Wednesday morning, just three hours after the United bid had been selected. Due to the importance of the decision and the occasion, we thought we’d bring you the transcript of the call (as transcribed by the United bid media team). Enjoy! Carlos Cordeiro: “Firstly, let me say this is a great day for soccer, for football, and a great day for North America. We have to appreciate that for the first time in 32 years, we will have the privilege, the pleasure, the honour to host a FIFA World Cup for men. It goes without saying that we are very humbled about that. SR: “It’s a tremendous opportunity for us. This is clearly a world-class event, the scope of which we haven’t seen in our country, and we’ve hosted the Winter Olympics in Vancouver-Whistler and many, many years ago we had the Calgary Winter Olympics. But this is enormous and I think clearly there is a great opportunity to commercialize this, create new and lasting sponsorship opportunities and ultimately, our focus is to grow our sport, grow our game, and to provide the impetus for that. Listening to Mr. Infantino a couple minutes ago in the press conference, he said that it was CONCACAF’s decision regarding qualifying for 2026 and that it was CONCACAF’s decision to award the three spots directly to the United States, Mexico, and Canada. Did you emphasize with CONCACAF, prior to the bid, how important this was for you? Was this a priority for everybody in the bid to include Canada, Mexico, and the United States directly into the World Cup?